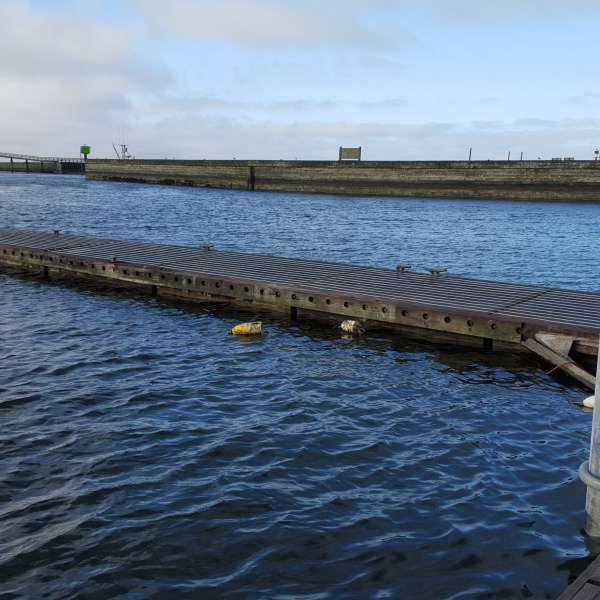 A demonstration dock deterrence system was installed on Float 11 at Westport Marina in March 2016. 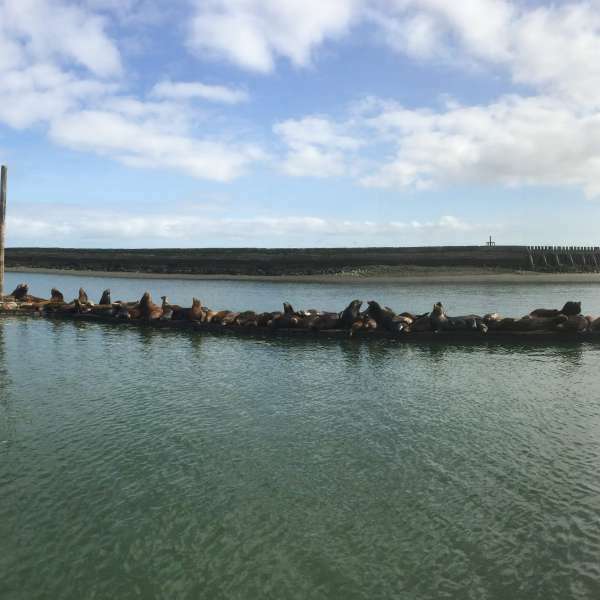 The 80-foot long system protects one of the fingers of the dock that had previously been a frequent haul-out spot for dozens of California sea lions. 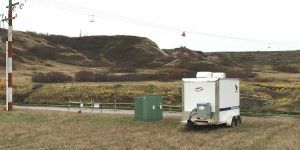 The system is run on a 12-volt battery that is recharged every 3 weeks by plugging into a nearby power pedestal. 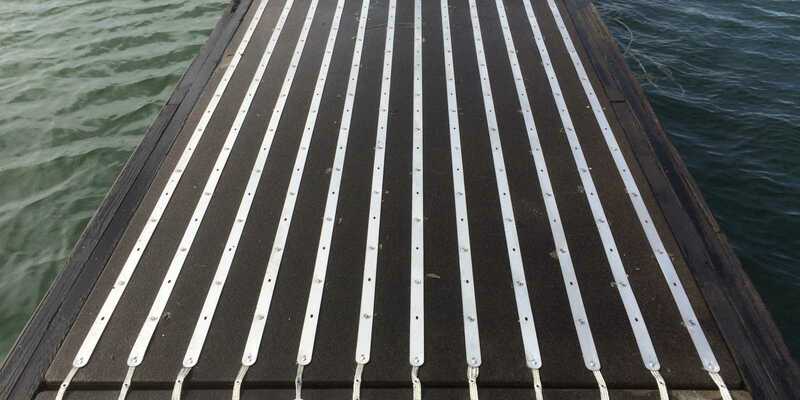 The system was designed as a short-term demonstration system, and is capable of being easily modified to a stand-alone, permanent system. During the 10-week demonstration period in early 2016, the system successfully deterred all sea lion haul-outs.